Backed by a team of highly skilled engineers, Kant Plastology engaged in providing a wide range of VICAT SOFTENING POINT APPARATUS. The compact and elegant look of apparatus contains high efficient S.S. 304 tubular heating system for appropriate rate of rise of heat and stirrer motor to create uniform heating in test chamber. The offered apparatus has highly precise temperature control through micro processor based double display digital PID controller. 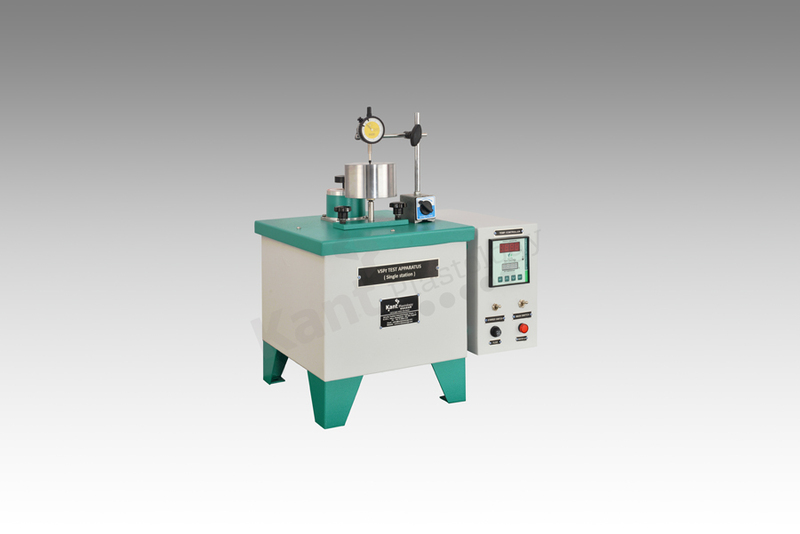 Kant Plastology procures accurate weight, rigid test assembly, test needle & calibrated Dial gauge to conduct the test.